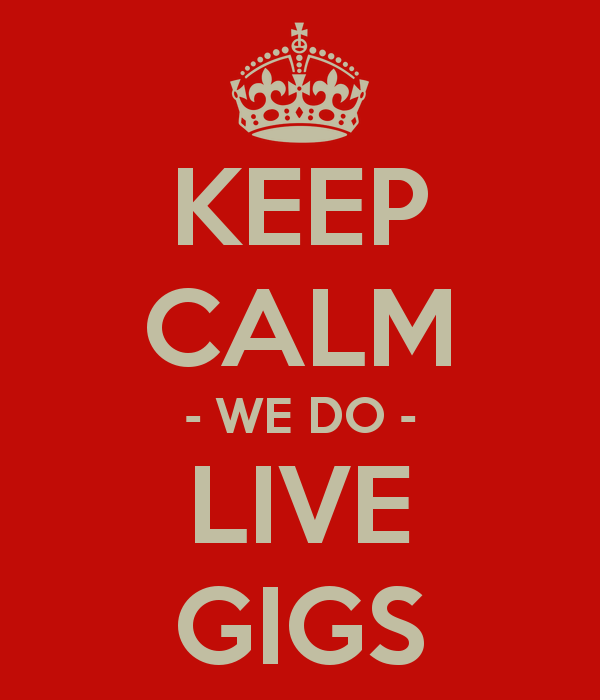 Down for the Count: Keep Calm - We Do Live Gigs! 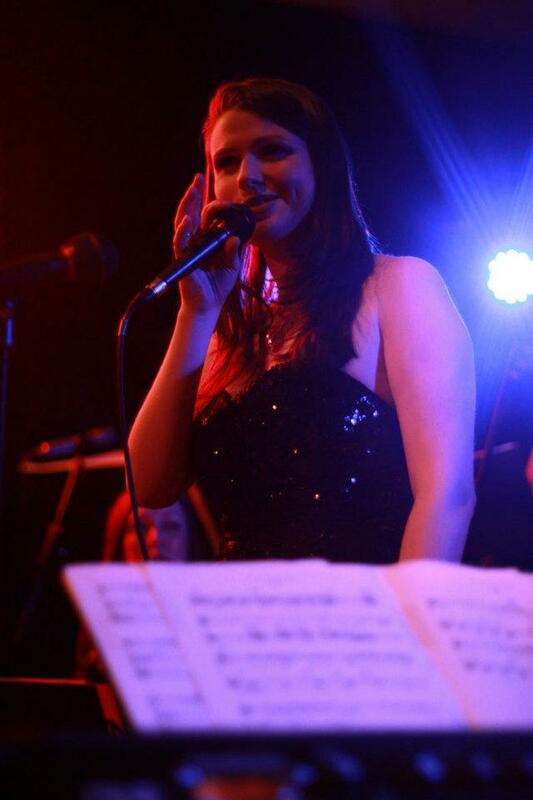 Keep Calm - We Do Live Gigs! 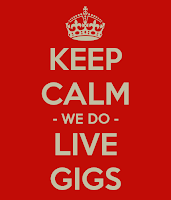 Keep Calm - We do Live Gigs!Yes, it's true! You see, although we love performing at weddings, private parties and corporate events, we feel it’s important to share our music with everyone. So seeing as our next event, Keep Calm and Carry On Swinging is coming up this Friday 8th February, we thought now might be a good time to tell you a little more about what to expect. Our public performances Alongside our busy schedule of private events, Down for the Count frequently perform live at open public events, for friends, family and fun. It's also a useful opportunity for people who are considering us for their event to be reassured that they're getting the real deal! However, it's not just about our clients or our friends - there is nothing we love more as a band than putting on a good show, with great music, to a fantastic audience. It's what we do.Where it all began Ever since we formed way back in 2005, Down for the Count have put on an annual show at Winslow Public Hall in Buckinghamshire. These nights have included themed evenings such as Down for the Count Does Havana, as well as sundry Chicago/New York-style Rat Pack shows. We also bring in the winter cheer each year with our super-festive A Very Down for the Count Christmas (annual, not to be missed) - but best of all, since we radicalised our sound and formed the Down for the Count Swing Orchestra, our biggest recent success has without a doubt been Keep Calm and Carry On Swinging (2012). 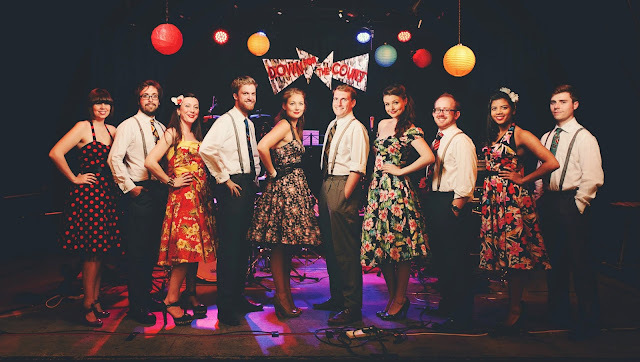 We have a dear place in our hearts for Winslow, and return there every year, but since the band took the plunge and moved to London we’ve been making a name for ourselves in London’s ever-growing swing revival movement. 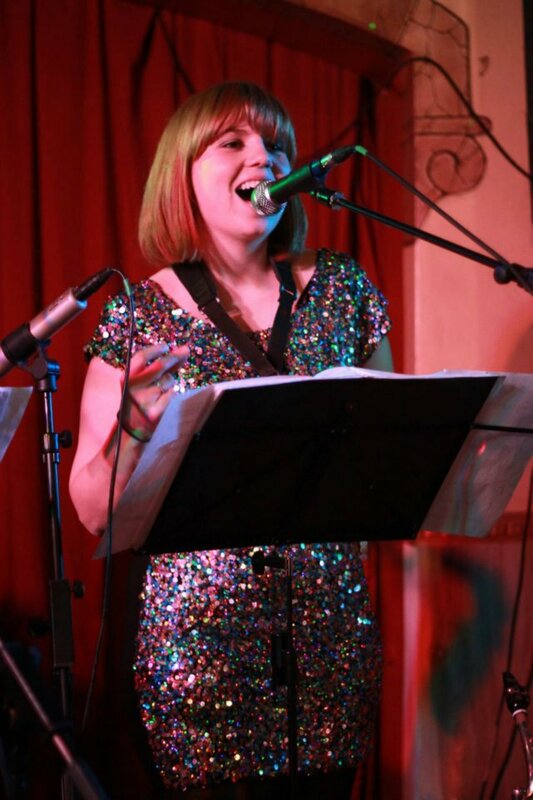 We now appear increasingly regularly in London venues, including East Sheen's Don't Tell Fred, and the ultra-hip-and-glitzy Crouch End Music Palace in North London, where we played last year, and where we can be seen regularly from now on! 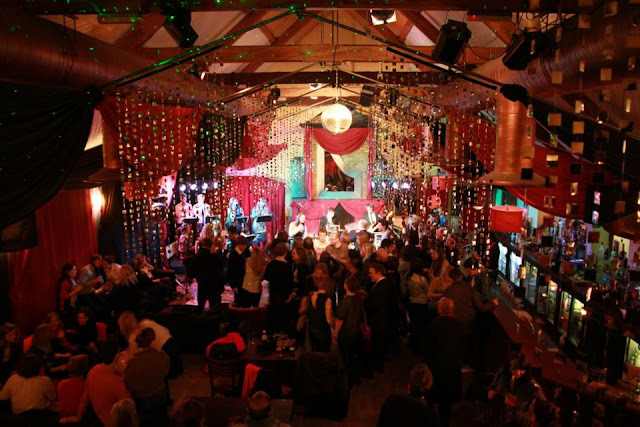 Crouch End Music PalaceSeeing as sizeable chunk of Down for the Count now live in north London, Crouch End Music Palace is a fantastic local venue where we can really show off what we do best - live swing music, with exciting and authentic arrangements of legendary classics. 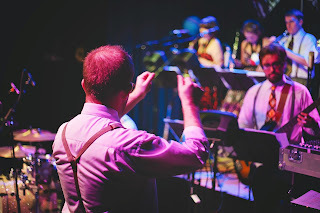 Last year we had a terrific audience, and surprisingly varied, ranging from local young people looking for an alternative night out, to die-hard swing fans and professional dancers! With a well-stocked bar and a well-stuffed dance floor, it truly was a night to remember - and to repeat. With a twist. Photos of our 2012 event. To see more, click here. Keep Calm and Carry On Swinging - DFTC Live! at the Music Palace, 8th Feb 2013In 2012, we crammed the place with jazz and soul lovers alike, but in 2013 we're going one better. 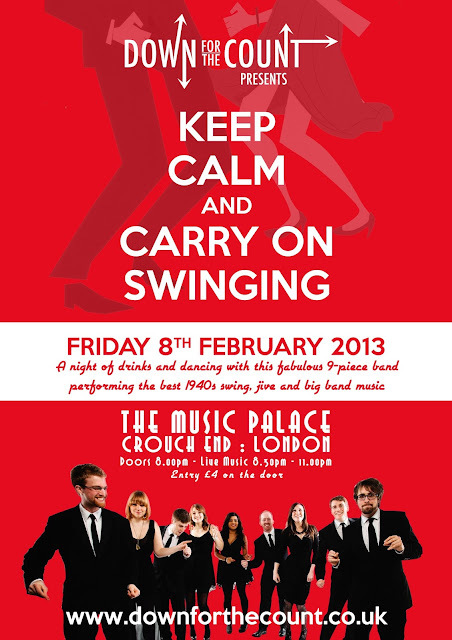 With a revival of our Keep Calm and Carry On Swinging night, we are bringing the glamour and romance of wartime dance-hall music to the Music Palace, with the help of some very special guests!Swing Patrol – This cracking swing dance team will be giving a taster dance lesson at the beginning of the evening (aimed at absolute beginners with no dance experience at all). 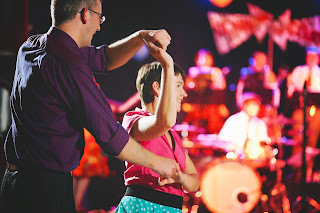 The instructors will demonstrate the basics of 6-beat lindy hop, which you can then use to dance along to the live band!The Marjorie Belles – The smooth sound of the Andrews Sisters is back! We will be joined on stage for the very first time by this sensational vocal trio, to perform some wartime classics you’re sure to know and love. Our classy and uber-cheesy poster! Share it on Facebook.